In a move criticized by Ankara, but welcomed by Yerevan and the world’s far-flung Armenian Diaspora, Germany’s parliament, the Bundestag, on Thursday voted in favor of a resolution that formally recognizes the mass killings and deportations of Armenians in Ottoman Turkey as genocide. The resolution supported by Chancellor Angela Merkel’s ruling Christian Democrats party, its junior coalition partner Social Democrats, along with the opposition Greens is entitled “Remembrance and commemoration of the genocide of Armenians and other Christian minorities in 1915 and 1916”. It carries the word ‘genocide’ throughout the text. According to reports from Berlin, despite apparent pressure from Turkey, the resolution was supported overwhelmingly by the German lawmakers. Merkel herself did not attend the parliament vote, but had said through her spokesperson that she sided with her parliamentary group in labeling the massacre of Armenians by Ottoman forces as genocide. Ahead of the vote Turkey issued stark warnings to Germany that adopting the resolution would harm ties between them. Turkish President Recep Tayyip Erdogan telephoned Merkel on Tuesday over the resolution, while Prime Minister Binali Yildirim called the vote “absurd”. But Armenian President Serzh Sargsyan urged German lawmakers to stand firm. “It would not be fair to not call the genocide of Armenians genocide just because that makes the head of state of another country angry,” he told the German Bild daily in an interview published Wednesday. “I am sure that Bundestag politicians see it this way too and will not be intimidated,” he added. 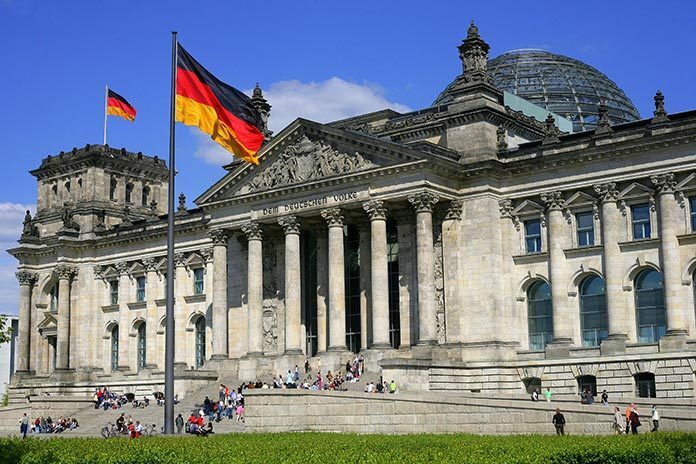 “Armenia welcomes the adoption of the resolution by the Bundestag of the Federal Republic of Germany on recognition of the Genocide committed against Armenians and other Christian peoples,” Armenia’s Minister of Foreign Affairs Edward Nalbandian said on Thursday. Germany is the second World War I-era ally of Ottoman Turkey that has formally recognized the killings of Armenians as genocide. The parliament of Austria issued a similar resolution timed to the centennial of the Armenian Genocide in April 2015. Turkey then recalled its ambassador to Vienna for “consultations”. The governments and parliaments of nearly three dozen nations, including Russia, France, Brazil, Italy, Canada and others have recognized the mass killings and deportations of 1.5 million Armenians in the Ottoman Empire as genocide. Some of the nations (Switzerland, Greece, Cyprus, Italy, Slovakia) have criminalized the denial of the Armenian Genocide. Successive governments in Turkey have denied that the killings and deaths of hundreds of thousands of Armenians in the Ottoman Empire during the First World War were part of a race extermination plan and constituted genocide.